Welcome to the North West branch page. 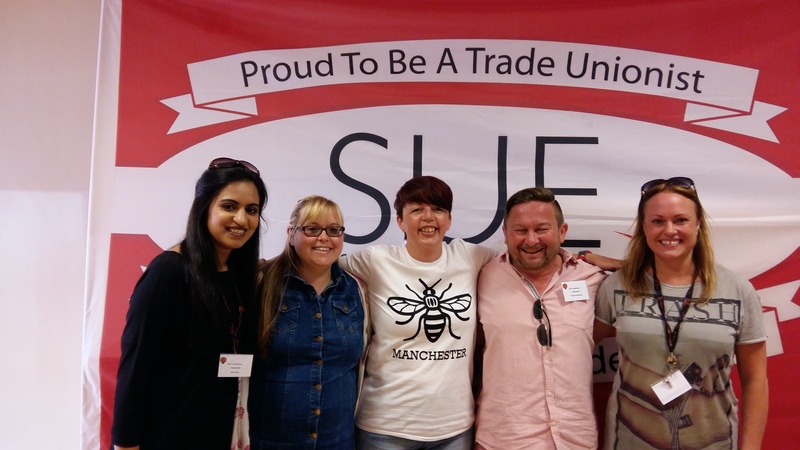 The North West Branch of SUE is the largest SUE branch and organises UNISON staff working for the North West Region of UNISON, staff employed by branches in the North West, and the national IMPS Unit (which is based in the Manchester Office). North West Branch Delegation to the 2017 SUE Conference.